Slim Hamza is the last Ute standing at the ITF Futures in Costa Mesa, California. 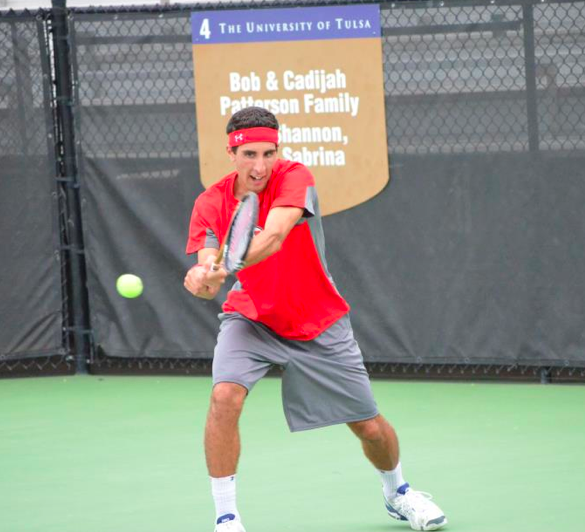 The Ute reached the fourth and final round of the qualifying draw by defeating Sahak Bazrganian, 4-6, 7-5, 6-4. He will now face Eduardo Nava, who beat Devin Lane earlier in the tournament, to earn a spot in the main draw. Cedric Willems and Ben Tasevac both lost in the third round of the qualifying, so they can start the preparation for the All-American Championships on September 28. In Madrid, Spain, Patrick Mayer fell in the second round of the qualifying at the F31 Futures. This entry was posted in Schedule/Results and tagged Ben Tasevac, Cedric Willems, Devin Lane, ITF Futures, Patrick Mayer, Slim Hamza, Utah Utes. Bookmark the permalink.